As Rointe would say, “Quite possibly the best radiator in the world”. 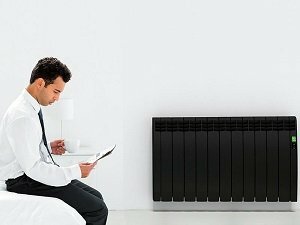 The Rointe D Series, black version, is a smooth and sleek radiator that will add a touch of class to any home. Finished with aluminium side panels, the visual aesthetics of this radiator are second to none. 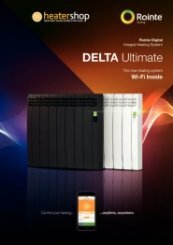 As well as black, the Rointe D Series radiators are available in many different colours and finishes; white, a range of RAL colours and the DesignLine range which includes finishes such as gold and marble. 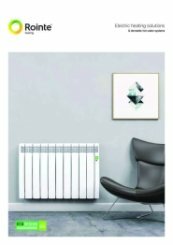 Rointe D Series radiators make use of "Fuzzy Logic Energy Control", a low consumption energy saving technology which allows the optimisation of the radiator’s power consumption. 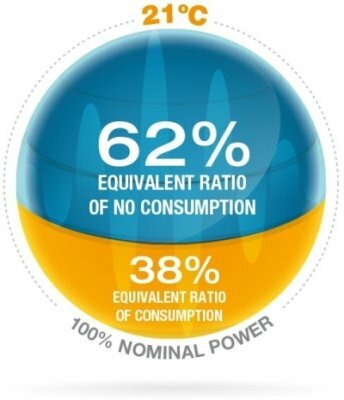 Originally developed by the R&D department of Rointe and applied to the D Series Radiators, the use of Fuzzy Logic Energy Control technology was tested by independent laboratories and proven to save up to 62% in comparison to heating devices with no thermostat. 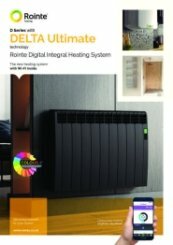 Do Rointe electric radiators have a 24-hour timer clock? Yes, our Rointe radiators are fully programmable 7 days a week/ 24 hours from the radiator control panel. The Rointe Kyros ACMI120 Bi-directional wireless remote can be purchased to control the Kyros range and the Rointe MIC110 remote can be purchased to control both the K and T series. Do Rointe radiators have child locks? 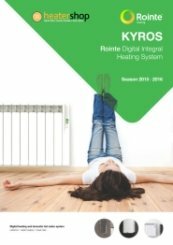 Rointe Kyros, K series and the Delta series electric radiators all have child locks on the settings panel to stop little hands from tinkering with your heating. 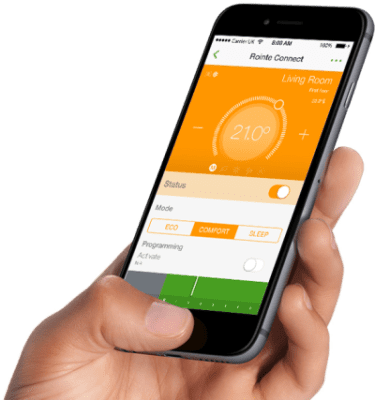 Alongside manually using the control panel to lock itself, the Rointe AIR control is able to lock the control panel as well as the Rointe Connect App for the Delta series. 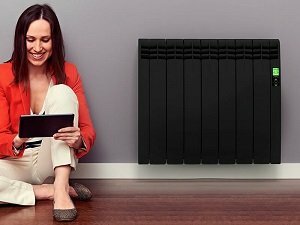 Do the Rointe electric radiators need maintenance? The radiator does not require any type of maintenance. We recommend that all parts of the radiator are kept clean (behind, underneath, upper fins etc.). Do not use any abrasive product on the aluminum. Simply clean it with a damp cloth and a pH neutral soap, and the stencil with a dry cloth. Very clunky setup procedure with the app. Once setup seems okay. 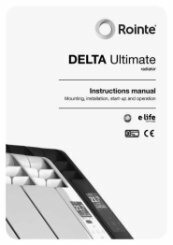 If you need any further assistance in setting up your Rointe Delta electric radiator, please do not hesitate to give us a call. Very smooth transaction. Delivery excellent, with accurate tracking. Thank you very much for your excellent review of our service, it is appreciated greatly.